According to an article on the Metro website, Zayn Malik, who has recently got engaged to Little Mix’s Perrie Edwards has already started talking about his Stag Do, well his band mates have! “And then he’ll get there and then it will just be strippers and stuff. We can all dress up in monkey and clown masks. Real guns and real strippers” he added. Kidnapping the stag has been a tradition in Sweden for some time, however some it can go wrong sometimes such as the stag we wrote about in July, when after his ordeal developed shingles! Harry Styles from the band also told the Metro reporter we might just throw multiple stag dos. 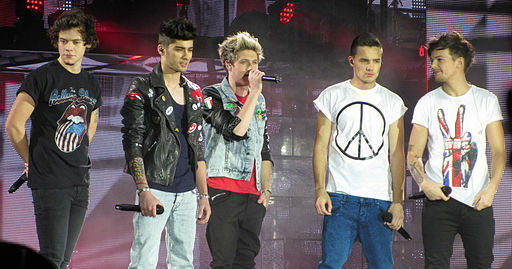 Zayn told the reporter seperately that the band had been discussing the Stag Do but no plans had been made. We wish Zayn all the luck in the world! According to a story on the Mirror online, the police are going to crackdown on stag parties hiring Mobility Scooters. This trend first started after the ITV hit show Benidorm, shows Madge travelling around on these infamous electric vehicles. New laws which will come into place this month, include all Scooters must be registered with the local council and you will only be allowed to hire one of these vehicles if you are over 55 or have a disability certificate or a doctor’s note. Drink drive and misuse of these vehicles could also mean a fine. So an end to this Stag Do craze is probably around the corner. Stag Parties where / are being approached when arriving at Alicante airport, so businesses in Benidorm have focused on Stags to make money. For just £50 you can book your 2014 Stag Do, Hen Party or Activity Break and then take a breather until 31st January 2014*. That’s right people, Christmas is coming and the geese are getting fat, but your wallets are loosing pounds like a bad chancellor of the exchequer (take a bow Gordon Brown!). So with no delay, give DesignaVenture a call and get your Stag Do, Hen Party or Activity Break booked and then put your feet up with a smug smile on your face, as already, you have something sorted for 2014. 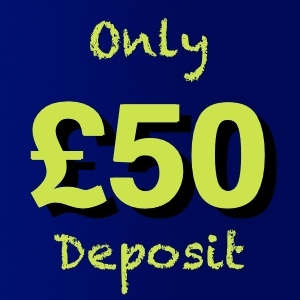 *On the 31st January 2014, we require a £30 non refundable per person deposit. If you have booked to go in January, February or the beginning of March 2014, you may have to settle your bill sooner. This offer does not include flight inclusive packages. In 2013, we saw thousands of stags flock to many of our popular UK destinations, however 5 destinations really stood out with popularity and positive feedback. Bournemouth saw a huge rise in interest from our stag parties, mind you, every year since we started (established in 2003 btw), Bournemouth has been an extremely popular stag and hen destination. Fantastic nightlife, choice daytime activities and a holiday atmosphere every weekend is guaranteed. In 2013 we found Nottingham see a revival, as more stags picked Nottingham as their number one destination. Bristol is another Stag Do destination hitting sixes with our customers, great activities, amazing nightlife and an almost 100% 5 star rating from our clients. If you are looking for adventure stag weekends, North Wales will not let you down, This stag destination features high again in popularity with our stags. Year on year North Wales is hugely popular with stag parties wanting full on activities and the option for a chilled out time. Lastly but not beastly is Reading, with fantastic hotels, activity ideas good enough to rival any respecting stag destinations and nightlife easy to navigate and celebrate, Reading is a sneaky pleasure. The above top 5 stag destinations have been compiled not only from sheer volumes of stag dos, but also from the positive feedback we have received from our stags on their return.